The less stressed you are, the more productive and focused you become. You already know to get a good night’s sleep to hike work productivity – that’s a universal theme today. Then, well, I wish I enjoyed “power naps” or yoga, but I don’t, so we’ll depart from the usual physical meditation advice in favor of mind relaxation that takes minimal effort while returning great stress-relieving rewards. Set up a fish tank. Yes, this can be really stressful and can take maximum effort – or would, had I not recently made every mistake possible, so can now confidently steer you toward an easier, better result. Aquariums are synonymous with dental offices, hospitals and busy restaurants because there is scientific proof that they reduce blood pressure and emotional agitation. Small aquariums are seductively inexpensive, but choose one large enough to hold a decent filter to avoid weekly tank cleaning. 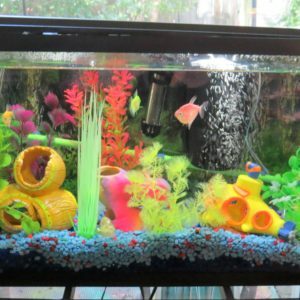 I added a bubble stick to move the water toward the filter, and then stocked it with three pretty neon fish, a homely but interesting Bristlenose Plecos (algae eater), and fun ornaments. There are “shell” tablets you can buy to feed fish for a few days if you’re out of the office; as they slowly disintegrate, they release fish food. Read 10 minutes a day. Switch it up so it doesn’t get boring – blogs, business books, inspirational quotes, or a short reading session with a favorite novel. Warren Buffett said he spends as much as 80% of his time reading and writing, and he credits much of his success to that habit, so it’s worth considering. Also, reading has been shown to slow down the effects of Alzheimer’s (studies are now being done to see if habitual life-long reading can actually help prevent it). It’s a great stress reducer so long as you avoid political or world news…. Put happy, personal photographs where you can easily glance at them. Psychologist Peter Naish has shown that viewing photographs of family, friends and pets consistently lifted spirits by 11% during mood measuring tests. That’s significant in light of the fact that the subjects who favored eating chocolate, listening to music, watching television, or drinking their way to happiness only registered a mere 1% mood enhancement. Stand up. The average office employee spends seven to 10 hours daily in a chair. You probably don’t want to know all the damage that does to your body, but if you’re brave, here’s a link that explains why that’s a very bad idea. Standing helps to clear your head and get your circulation moving again, which clears some of that boredom sludge out of your veins. 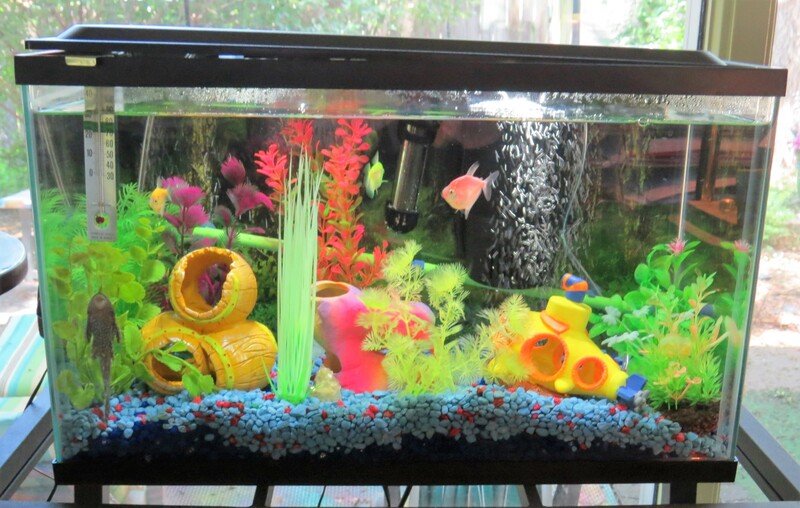 Find someone to feed your fish for a week, and pack a camera to capture more happy vacation memories! The average American earns 10 vacation days a year and, on average, we only claim about half of those days. Yet it’s well documented that vacation time is the best antidote for burnout. Relaxation time inspires creativity and new problem-solving skills; oftentimes workers are far more productive after they return than before they went. Are your online passwords secure? Cell phone etiquette: are you courteous? Why say no when it feels so good to say yes!